Police raids on houses and hideouts of leaders of various unions and organisations of farmers have evoked criticism from various kisan unions, who have alleged that the state was resorting to strong tactics to stifle the democratic rights of farmers. Thousands of devotees from all over the country today thronged the historic and ancient Ram Tirath Mela that concluded today on the occasion of “Kartik Poornima”, which coincided with the birth anniversary of Guru Nanak Dev. Call it the Hans Raj Hans effect or a wish to lead the Punjab Congress effectively in the coming Lok Sabha elections, because PPCC president Mohinder Singh Kaypee is reluctant to contest from the Jalandhar parliamentary seat. Chief Minister Parkash Singh Badal is not sure whether his son and SAD president Sukhbir Badal will contest the coming Lok Sabha elections or not. This was evident from his answer to a query put forth by The Tribune during his visit to Sultanpur Lodhi today. The Punjab Pradesh Congress Committee (PPCC) on yesterday referred the utterances made by former deputy speaker Bir Devinder Singh against Union tourism and culture minister Ambika Sonia to its discliplinary committee. Punjab Congress leader Sukhpal Singh Khaira today urged the Election Commission to take notice of “politically motivated propaganda” of the ruling SAD-BJP government, which was bringing out advertisements worth crores to divert the attention of the people from their failures. Floriculture has become a profitable profession in the state with thousands of quintal of flower seed being exported to European, the US and West Asian countries every year. 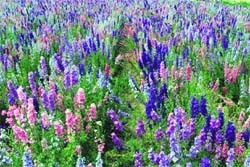 A number of farmers, who believed in paddy-wheat or cotton-wheat rotation till recently, have adopted flower seed crops, which have given them good returns. Residents and farmers of the area didn’t let the local improvement trust authorities to take the possession of more than 17 acres on the Sangrur-Sunam road here today. To mark the celebrations of the Children’s Day in a unique way, Vijay Goel, a philanthropist and social activist, here has adopted yet another HIV positive child. This is the second HIV positive child abandoned by his guardians that Goel has adopted. He adopted a girl when she was 2-year-old. She is now a grown up child of seven years. The one he has adopted now is a male child of 10 years. The provincial government of Ontario has appointed Harminder Dhillon, a Mississauga-based criminal and family law lawyer, a member of the Ontario Review Board. The board is a tribunal that forms an integral part of the judicial system in Ontario, and exercises jurisdiction over individuals found by the courts to be either unfit to stand trial or are not criminally responsible because of a mental disorder. The police continues to be perceived as public enemy No. 1. The data compiled by the Punjab State Human Rights Commission shows that the maximum number of cases taken up by the commission deal with alleged atrocities committed by the police against the common man. The Rural Medical Services Association has demanded regularisation of their services. In a memorandum submitted to Cabinet minister Tikshan Sood, Dr Aslam Parvez, president of the association, has stated 1,193 doctors were recruited by the government on a contract basis for rural medical facilities under Zila Parishads. “Rural health is not a temporary service, which should be taken care for a few years. The Information Technology (IT) sector has been listed as one of the major thrust areas in Punjab’s new industrial policy. The Industrial Policy 2009 would replace the Industrial Policy 2003 and would be ready by January next year. Chandigarh, November 13 Agricultural cooperative societies in Punjab will sell goods of multinationals at special discounts as part of a retail project aimed at making them financially independent as well as generating employment opportunities. Lajja Ram’s electrocution has not only led to compensation of over Rs 11 lakh to his legal heirs, but also in laying down of an extraordinary law for times to come. It now transpires that the responsibility of preventing power-supply related accidents vests with the electricity board. Taking up a petition by UK-based Paramjeet Kaur Toor for the production, release and return of her minor children Arman Preet Singh and Sazel Preet Kaur, the high court has issued notice of motion to the paternal grandparents. A five- member team of the Royal Canadian Mounted Police (RCMP) today visited the area to question a few potential witnesses of the infamous bombing case of Kanishka aircraft in 1985.